Beverly Heels, What a Thrill! Peaches Christ is one of those celebrities I’ve followed on Instagram for years and have oh-so-impatiently waited to see live. I’ve seen countless shows produced by her come and go, gazing longingly at the announcements that flashed the same couple of cities that seemed so far away. When I saw the announcement that Troop Beverly Heels was coming to the Egyptian Theater, I could not contain my excitement. Not only was there a Peaches Christ production coming to Seattle, where I now lived, but it had one of my all-time favorite drag queens as it’s star: Trixie Mattel. 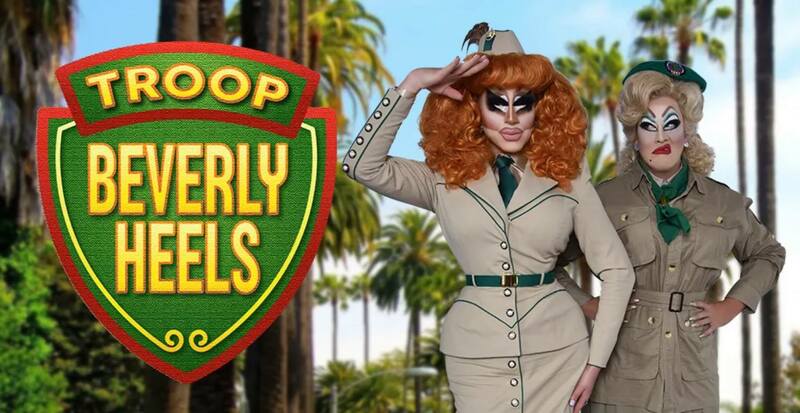 Troop Beverly Heels is a drag parody of the 1989 classic cult film Troop Beverly Hills. The gist of the story is that a woman named Phyllis Nefler, portrayed by Shelley Long in the original and Mattel in the stage production, is going through a divorce. To help find new meaning in her life, she ends up leading a troop of Girl Scouts, known for copyright purposes as Wilderness Girls, in the place you would least expect to find one, Beverly Hills. Drag parodies of classic films is what Peaches Christ does, and with drag becoming more and more mainstream, she’s had the opportunity to expand out of her home in San Francisco to cities like Seattle and Portland. 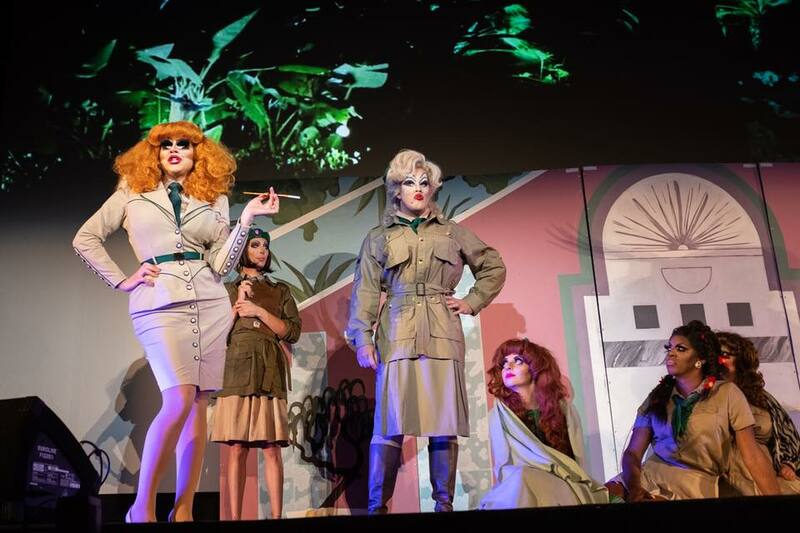 Troop Beverly Heels is the tenth show of hers to come to Seattle, following titles like Drag Becomes Her and Steel Dragnolias. Part of what makes Peaches Christ’s shows so amazing, and so long-standing within the drag community, is how expertly the scripts are written. I don’t regret watching the original film a few days before I went to see the show, but I would have been able to understand and enjoy the plot of Heels without having seen Hills. Peaches knows and understands humor and is easily able to create something completely new out of material that has been around for decades. I’ve had the opportunity to see Trixie Mattel twice before, and each time has been a brand-new experience showcasing a different talent each time. I’ve seen her doing stand-up comedy, standard lip-sync performances, and live performances of songs from her two chart-topping country albums, Two Birds and One Stone. This is the first I’ve seen her act live, and it blew away all expectations. It’s one thing to have to act on camera for a challenge that will be edited together for television, it’s another thing altogether to engage an audience for a two-hour live production.